Teradyne, Inc. (NYSE:TER) was in 24 hedge funds’ portfolios at the end of the third quarter of 2016. 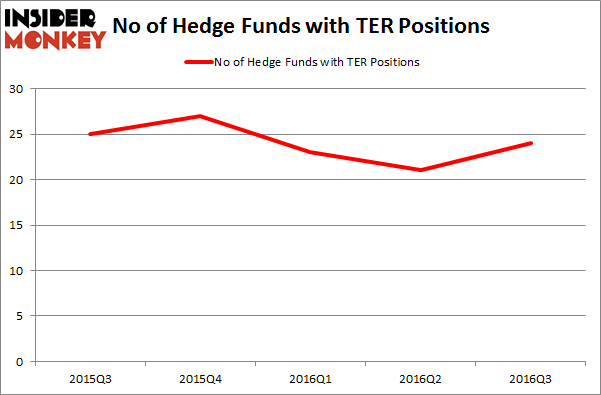 TER has experienced an increase in hedge fund sentiment lately. There were 21 hedge funds in our database with TER positions at the end of the previous quarter. 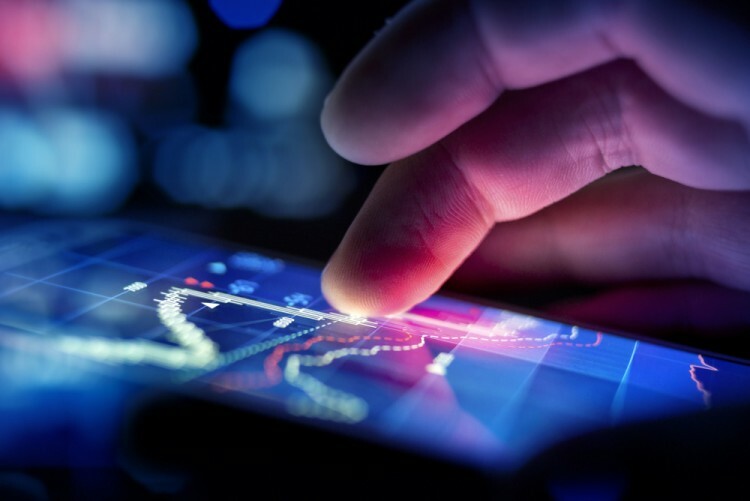 At the end of this article we will also compare TER to other stocks including Dunkin Brands Group Inc (NASDAQ:DNKN), Arris Group, Inc. (NASDAQ:ARRS), and Validus Holdings, Ltd. (NYSE:VR) to get a better sense of its popularity. Keeping this in mind, we’re going to take a look at the recent action surrounding Teradyne, Inc. (NYSE:TER). At Q3’s end, a total of 24 of the hedge funds tracked by Insider Monkey were bullish on this stock, an increase of 14% from one quarter earlier. With the smart money’s sentiment swirling, there exists an “upper tier” of key hedge fund managers who were boosting their holdings considerably (or already accumulated large positions). According to publicly available hedge fund and institutional investor holdings data compiled by Insider Monkey, Cliff Asness’s AQR Capital Management has the number one position in Teradyne, Inc. (NYSE:TER), worth close to $76.9 million, corresponding to 0.1% of its total 13F portfolio. On AQR Capital Management’s heels is Royce & Associates, managed by Chuck Royce, which holds a $74.5 million position; the fund has 0.5% of its 13F portfolio invested in the stock. Remaining hedge funds and institutional investors that are bullish contain Panayotis Takis Sparaggis’s Alkeon Capital Management, Jim Simons’s Renaissance Technologies and D. E. Shaw’s D E Shaw.